Coming off from the successful Live AIDS 31: HaLOLan, the U.P. SAMASKOM company members are back again for a brand new season of non-stop laughter! Live AIDS (Ang Istoryang Dinebelop ng SAMASKOM) or Acts, Improvisations, Dances and Songs, is an annual musical-comedy series mounted by UP SAMASKOM. It is the longest running comedy show in the country. What started as a mere applicants’ batch project back in 1985 is now one of the most awaited events in the Diliman republic. Each year, Live AIDS has never failed to surpass the previous record number of fans who trooped to its staging venues on all performances. 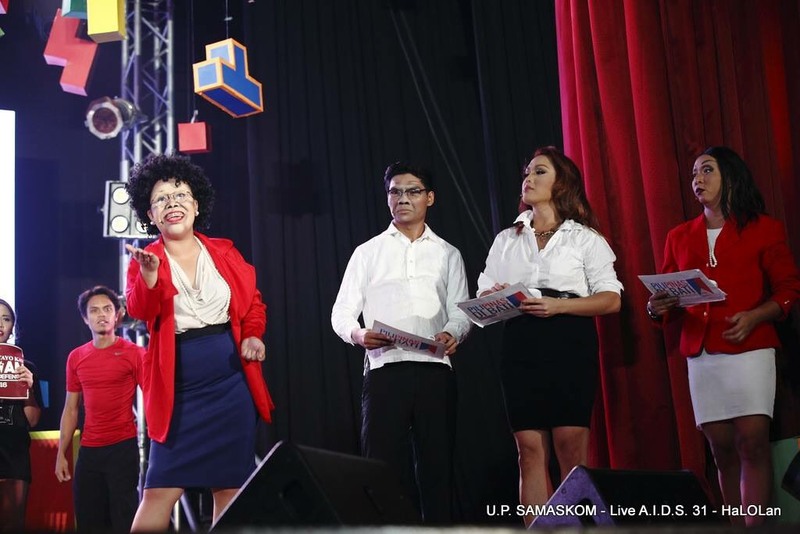 For decades, Live AIDS has garnered fanatics and avid viewers who have steadfastly sought out the show, including known personalities such as Bianca Gonzales, Ricky Lee, Quark Henares, John Lapus, Rajo Laurel, Jigs Mayuga, Tim Yap and Vice Ganda. After all, it is the show which gave rise to the career of comedy stars Giselle Sanchez, Ate Glow, Michelle O’ Bombshell, Tuesday Vargas and KaladKaren. “Live AIDS made me the woman that I am today. As an artist and an entrepreneur, this show paved my way to achieve all my accomplishments to date,” lauded Tuesday Vargas - an alumnus of the organization and a veteran performer of the show. As home to talented and diverse individuals from all walks of the university who have a passion for creativity and self-expression, Live AIDS has continuously lived on with its magic that fuels it: the collaboration between the members of UP SAMASKOM, student and alumni alike. This camaraderie and the trust that have formed within the "samahan" is what makes the magic of the show happen. “This show bolsters one’s talent, skills, and self-confidence. It’s evident in our alumni members,” said another alumnus, Kaladkaren Davila. 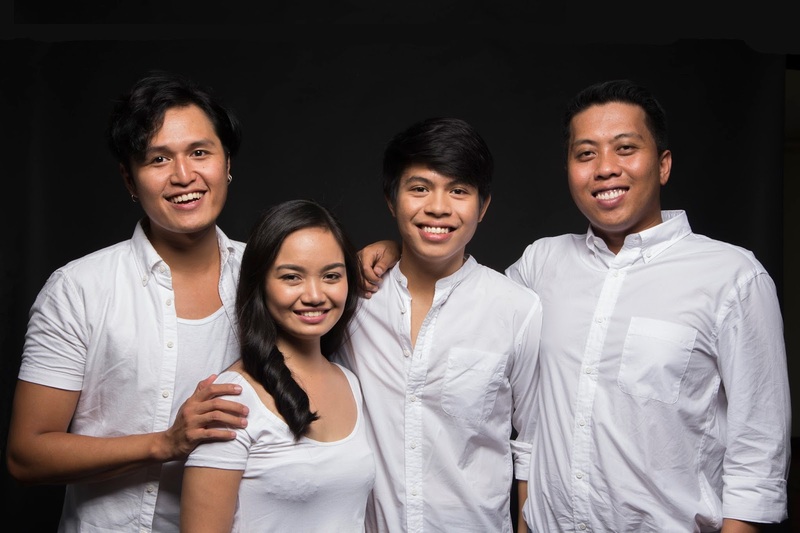 Giving off a fresh take on socio-political issues and pop culture without sacrificing the classic Live AIDS formula, the 32nd installment of one of the most anticipated events in UP Diliman will be helmed by four young directors, incorporating a brand new treatment on stage production and presentation, utilizing the classic brand of comedy that is quintessentially LIVE AIDS. With Live AIDS being a parody of our current experiences, it tackles the present, the new, the trending, and the viral, by fusing comedy with the hard-hitting realities of this twisted socio-political sphere in the country. The show gets inspiration from these daily phenomena and aims to provide a different take, by providing a night filled with fun, spectacle, and entertainment you will never forget! As a venue for UP SAMASKOM members to enhance their wit, creativity and leadership potentials, Live AIDS is a playground for members to get invaluable orientation in the different fields of media. As such, this installment, a commentary on the Philippine society and on the experiences and travails that the Filipinos face, that features trending topics and viral content, will transcend not only to its avid audience, but even to its first time viewers. Promising to make audiences laugh like never before, LIVE AIDS 32: ANG ISTORYANG DINIBELOP NG SAMASKOM is an event not to be missed! Live AIDS 32 is slated on April, 16, 20, 21, and 22, 2018. For more updates on UP SAMASKOM and Live AIDS 32, please follow us on Twitter and Instagram @UPSamaskom, and like us on Facebook at facebook.com/upsamaskom. Buy your tickets at ktx.abs-cbn.com.